This week we interviewed one of Arcbazar’s most successful designers, Ha Pham. You may know her as Libra K. Ha has participated in 163 competitions on Arcbazar, winning a great deal of them. So it’s safe to say that she is one of our veterans. After completing her university studies in 2010, Ha started working as an Architectural Assistant for one of her teachers. She took part in a number of national competitions in Vietnam before she came across our platform. “I failed many competitions before my first win with “High Street Commercial, Georgia,” shares Ha. However, with persistence and continuous learning, she became one of Arcbazar’s top 50 designers. From my perspective, the key is knowing exactly what the client is expecting for his/ her house. Also, the designer must be creative – if they have a unique design, they will stand out. Some competitions on Arcbazar are more challenging than others, admits Ha. For example, in the “Breakwater Chicago” competition, the client required a yacht-type design, resembling an island. “I have not designed a yacht before,” admits Ha, “so I had no idea where to start. The important thing is for the design to be buildable, and it is for that reason I won the first prize.” As you can see, the final result was simply magnificent! Clients’ requests – budget, site, etc. – is her main source of inspiration on Arcbazar. 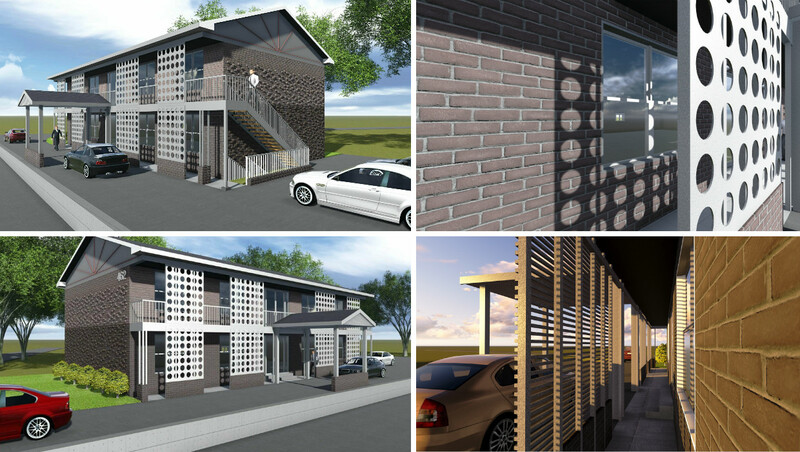 Currently working at White Architecture ltd in Vietnam, Ha is especially interested in designing new residentials. Her style evolved under the influence of such famous architects as le Corbusier, Mies van der Rohe, and Tadao Ando. “I love the designs of James Foster [on Arcbazar]. He is a professional designer. I have not met him in person, but you can tell that much just by looking at his projects. His designs meet the client’s requests and are absolutely beautiful. My favorite design of James Foster is “Gardner Landscape”. The design represents reality. It is fully functional, and his hand drawing is excellent! I failed this competition, but learnt a lot about landscape design from him,” shares Ha. Being an experienced and sought-after architect and designer, Ha shared with us her predictions for exterior design trends for 2016. If you are remodeling your house or apartment – one or all rooms – it may feel overwhelming. Where are you supposed to start? How do you ensure cohesiveness? We asked Ha for advice. Use the beautiful things you already have: Many people are amazed to discover they really do have great stuff; they just needed help pulling it together. Rather than redoing an entire space from scratch and replacing perfectly good furnishings, you should try to work with what you already had and take that room to the next level. Consider hiring a pro: Sometimes it makes sense to call in help – when you need a fresh pair of eyes to look at your home and move furniture around. Maybe you do not have the confidence to take the big steps in the living room, kitchen and dining area to make it more appealing, but a designer can help you with these. We hope you enjoyed reading about Libra K. as much as we enjoyed interviewing her. Stay tuned for more interviews with our fantastic designers!